Heston made his feature film debut as the lead character in a 16mm production of Peer Gynt (1941), based on the Henrik Ibsen play. Shortly thereafter, he played ‘Marc Antony’ in Julius Caesar (1950), however Heston firmly stamped himself as genuine leading man material with his performance as circus manager ‘Brad Braden’ in the Cecil B. DeMille spectacular The Greatest Show on Earth (1952), also starring James Stewart and Cornel Wilde. The now very popular actor remained perpetually busy during the 1950s, both on TV and on the silver screen with audience pleasing performances in the steamy thriller The Naked Jungle (1954), as a treasure hunter in Secret of the Incas (1954) and another barn storming performance for Cecil B. DeMille as “Moses” in the blockbuster The Ten Commandments (1956). Heston delivered further dynamic performances in the oily film noir thriller Touch of Evil (1958), and then alongside Gregory Peck in the western The Big Country (1958) before scoring the role for which he is arguably best known, that of the wronged Jewish prince who seeks his freedom and revenge in the William Wyler directed Ben-Hur (1959). This mammoth Biblical epic running in excess of three and a half hours became the standard by which other large scale productions would be judged, and it’s superb cast also including Stephen Boyd as the villainous “Massala”, English actor Jack Hawkins as the Roman officer “Quintus Arrius”, and Australian actor Frank Thring as “Pontius Pilate”, all contributed wonderful performances. 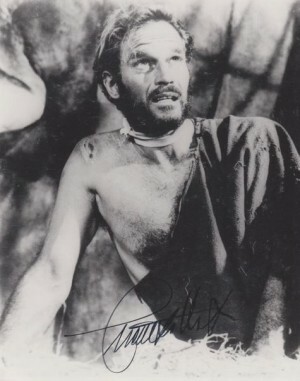 Never one to rest on his laurels, steely Heston remained the preferred choice of directors to lead the cast in major historical productions and during the 1960s he starred as Spanish legend “Rodrigo Diaz de Vivar” in El Cid (1961), as a US soldier battling hostile Chinese boxers during 55 Days at Peking (1963), played the ill-fated “John the Baptist” in The Greatest Story Ever Told (1965), the masterful painter “Michelangelo” battling Pope Julius II in The Agony and the Ecstasy (1965), and an English general in Khartoum (1966). In 1968, Heston filmed the unusual western Will Penny (1968) about an aging and lonely cowboy befriending a lost woman and her son, which Heston has often referred to as his favorite piece of work on screen. Interestingly, Heston was on the verge of acquiring an entirely new league of fans due to his appearance in four very topical science fiction films (all based on popular novels) painting bleak future’s for mankind. In 1968, Heston starred as time traveling astronaut “George Taylor”, in the terrific Planet of the Apes (1968) with it’s now legendary conclusion as Heston realizes the true horror of his destination. He returned to reprise the role, albeit primarily as a cameo, alongside fellow astronaut James Franciscus in the slightly inferior sequel Beneath the Planet of the Apes (1970). Next up, Heston again found himself facing the apocalypse in The Omega Man (1971) as the survivor of a germ plague that has wiped out humanity leaving only bands of psychotic lunatics roaming the cities who seek to kill the uninfected Heston. And fourthly, taking its inspiration from the Harry Harrison novel “Make Room!, Make Room!”, Heston starred alongside screen legend Edward G. Robinson and Chuck Connors in Soylent Green (1973). During the remainder of the 1970s, Heston appeared in two very popular “disaster movies” contributing lead roles in the far fetched Airport 1975 (1974), plus in the star laden Earthquake (1974), filmed in “Sensoround” (low bass speakers were installed in selected theaters to simulate the earthquake rumblings on screen to movie audiences). He played an evil Cardinal in the lively The Four Musketeers: Milady’s Revenge (1974), a mythical US naval officer in the recreation of Midway (1976), also filmed in “Sensoround”, an LA cop trying to stop a sniper in Two-Minute Warning (1976) and another US naval officer in the submarine thriller Gray Lady Down (1978). Heston appeared in numerous episodes of the high rating TV series Dynasty (1981) and The Colbys (1985), before moving onto a mixed bag of projects including TV adaptations of Treasure Island (1990) and A Man for All Seasons (1988), hosting two episodes of the comedy show, Saturday Night Live (1975), starring as the “Good Actor” bringing love struck Mike Myers to tears in Wayne’s World 2 (1993), and as the eye patch wearing boss of intelligence agent Arnold Schwarzenegger in True Lies (1994). He also narrated numerous TV specials and lent his vocal talents to the animated movie Hercules (1997), the family comedy Cats & Dogs (2001) and an animated version of Ben Hur (2003). Heston made an uncredited appearance in the inferior remake of Planet of the Apes (2001), and his last film appearance to date was in the Holocaust themed drama of Rua Alguem 5555: My Father (2003). 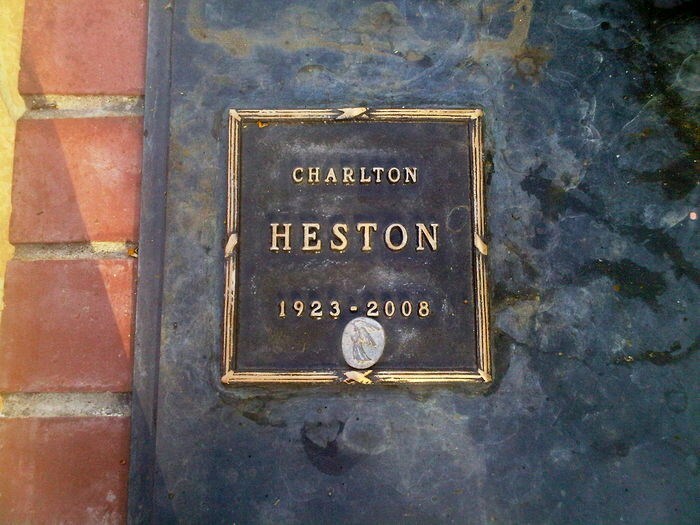 Heston was married to Lydia Marie Clark Heston since March 1944, and they have two children. His highly entertaining autobiography was released in 1995, titled appropriately enough “Into The Arena”. Although often criticized for his strong conservative beliefs and involvement with the NRA, Heston was a strong advocate for civil right many years before it became fashionable, and was a recipient of the Jean Hersholt Humanitarian Award, plus the Kennedy Center Lifetime Achievement Award. 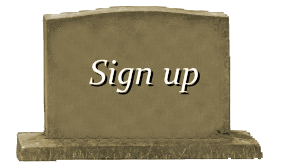 In 2002, he was diagnosed with Alzheimer’s disease, and did appear in a film or TV production after 2003. 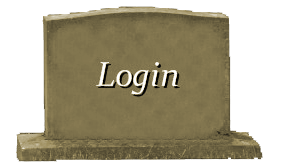 He died in April 2008. Truly, Charlton Heston is one of the legendary figures of US cinema.